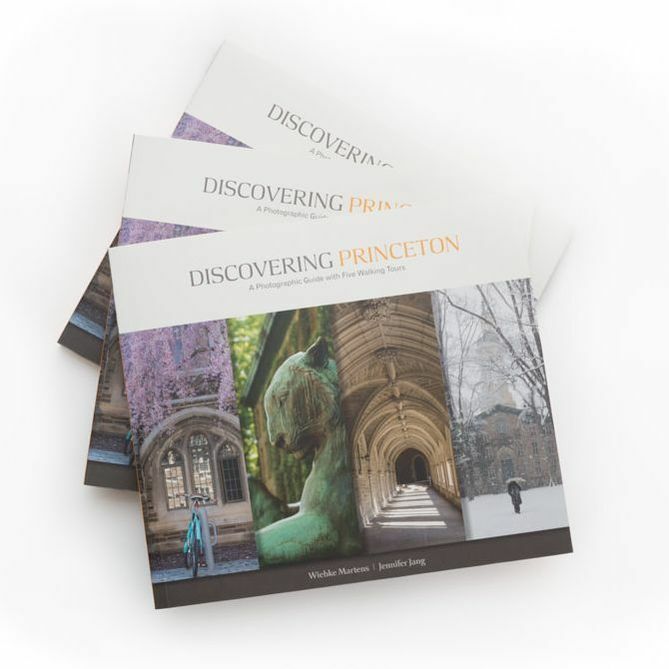 "Discovering Princeton: A Photographic Guide with Five Walking Tours"
Join us for a walking tour on May 30th! "... the essential guide to Princeton ..."
"...superb overview of the town's history..."
"...a great gift!" "... truly wonderful ... The photos are really perfect ..."
​at Labyrinth Books, Landau of Princeton, the Princeton U-Store, and online! "Over the years the Town and Gown community of Princeton has been the subject of many publications. What distinguishes this new work is its fine balance of photographic artistry with an easily readable literary style. Together, they capture elegantly both the breadth and the ever changing nature of the place." ​"Martens and Jang have written what will no doubt become the essential guide to Princeton. The authors provide a superb overview of the town's history, which they illustrate with carefully curated sites that reveal exciting Princeton narratives. Through beautiful photo-graphs that emphasize place as an important lens for history, readers see the remarkable growth of Princeton from colonial hamlet to bustling cosmopolitan center." "I could not put this book down! The opening history is fascinating, and some of the camera angles are so innovative that I had to tell myself, 'Next time you are there, go find that view!' The book is certain to sell out to Princeton residents. Princeton's two million visitors will have to wait for the second printing"